Need a great deal on wholesale athletic socks? 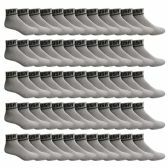 Wholesalesockdeals.com has the largest selection of bulk mens ankle sports socks like wholesale cushioned athletic ankle socks, wholesale running socks for men, Wholesale mens no show sports socks, wholesale lightweight mesh ankle socks for men, bulk packs of mens printed low cut socks, wholesale USA printed mens sports socks and so much more. Get the most for your money when you shop in bulk with wholesalesockdeals. At wholesalesockdeals you can find everything you need at low wholesale prices everyday! 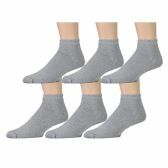 Wholesalesockdeals is your one stop shop for mens basic athletic socks. We are proud to work closely with many homeless shelters, correctional facilities, charities and government agencies around the country . 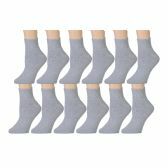 Enjoy fast reliable shipping and great promotional savings when you buy in bulk form wholesalesockdeals. stock up today and see how much you can save.